The Hope vs Cancer Online Charity Event! 100% of all entry fees go towards the mission of Hope vs Cancer, a new and innovative pediatric cancer organization that is uniting the tattoo industry in the fight against children's cancer. 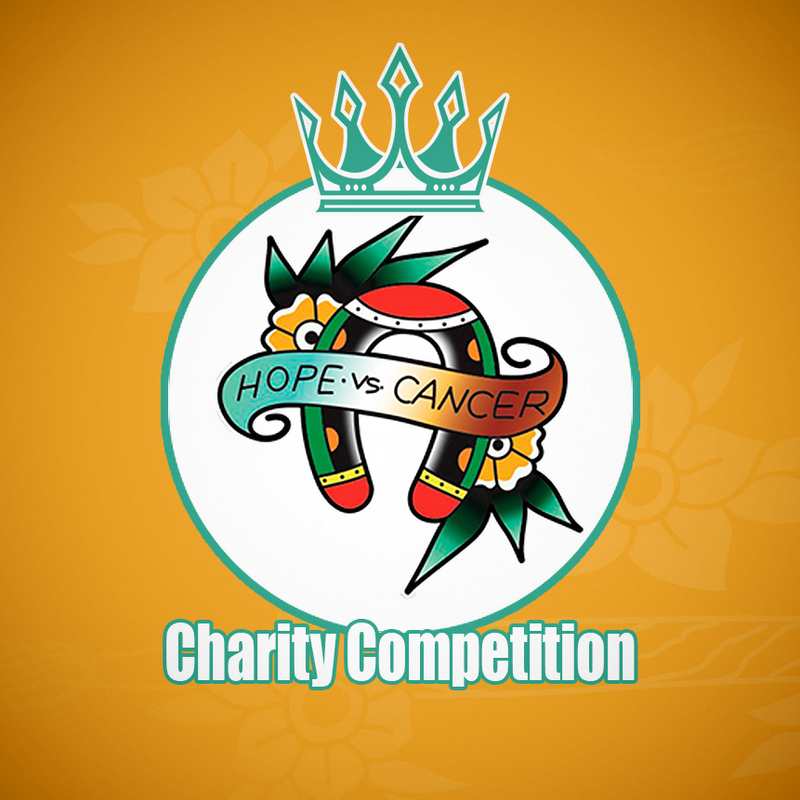 Hope vs Cancer raises awareness about children’s cancer, funds advanced and promising pediatric cancer research and lifts children’s spirits that are undergoing chemotherapy through tattoo artwork. The Hope vs Cancer Foundation is a new, one-of-a-kind and innovative pediatric cancer foundation that aims to break the mold and move the needle. Hope vs Cancer is multifaceted with three primary functions: spreading awareness of childhood cancer, raising research and clinical trial donations for children’s cancer, and most importantly, lifting children’s spirits as they are undergoing treatment. They have sent out over one million temporary tattoos, manufactured from real tattoo artwork, to over 75 children’s hospitals and pediatric cancer centers worldwide. Top 15 finalists: Hope vs Cancer T-shirt of your choice. You’ll be able to rock a sweet Hope vs Cancer tattoo tee and be supporting children’s cancer. Top 10 finalists: Hope vs Cancer T-shirt of your choice AND your design made into a temporary tattoo. Rock the tee and your artwork will lift the spirits of countless kids around the globe that are battling cancer. 2nd Place and 3rd Place: Everything mentioned above PLUS your artwork framed with a Hope vs Cancer plaque for your shop. Rock the tee, lift countless spirits, and add an awesome piece of recognition to your shop wall. 1st Place: Winner gets everything mentioned above AND a limited edition Cosmic Storm Xion by FK Irons. Rock the tee, support the kids, show off your artwork and get a free industry leading limited edition machine!